What: Make them precise of the goal. This is the basic rule for sending a Push Notification. It won’t be wise to send a push notification while your subscriber is asleep or is taking rest. This will result in blocking the notification process once and for all. You definitely don’t want that. So, it is important to keep track of the locality of your subscriber. The most important thing is to keep pushes relevant to the user. If a user has already bought an item, there is no use to send that user a notification for ‘completing a purchase”. Another example is that it will be useless to send a male subscriber items’ information belonging to female use. Therefore, it i very necessary to keep in check that you send relevant messages to relevant people. The journey includes what level of the game your subscriber is on, which items they have in their cart, which news stories they read. All these information helps in deducting your subscriber’s interest. These will help you to segregate them and will help to work on them individually. While push can be a powerful channel for reaching and re-engaging mobile app users, it can also be counterproductive if a brand sends too many (or irrelevant) messages. 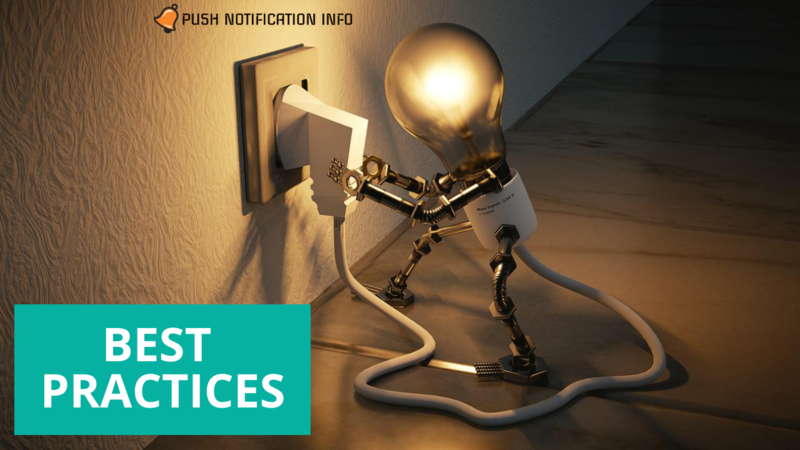 To make sure that your push strategy is hitting the mark, Weiss recommends monitoring push conversions, as well as two notable negative KPIs: push notification opt-out rates and app uninstalls. “You have to balance positive engagement with the downside of setting opt-outs,” Weiss says. “It’s a tricky balance because you may be comparing a short-term engagement boost versus a longer-term downside of users who’ve uninstalled and can no longer be re-engaged.” For brands with a multichannel approach to customer messaging, it’s possible to use email and other channels to send re-permission campaigns that nudge customers to opt back in for a push. However, convincing them can be difficult—marketers are almost certainly better off monitoring and adjusting their push outreach to reduce opt-outs and uninstalls ahead of time. According to Weiss, “the biggest challenge in mobile is retaining new users.” Without a strategy for holding onto new users, many brands find themselves quickly shedding customers that they’ve spent a lot of time, energy, and money acquiring, putting them in a difficult and often unsustainable position. Push notifications and other customer messaging channels can change that by allowing marketers to re-engage customers beyond the app and giving them additional opportunities to communicate the value of the app (and brand). Here, the main motive should be that your notification must not get rejected. It is better to ask your subscriber for permission in best possible manner. A rude request is never welcomed. Polite words and concerned messages will do the trick. So, before jumping to any kind of sentences, take out your time to think hard and frame a good request message. There’s little more annoying than receiving an engaging push notification, tapping it, and finding yourself dumped on the app’s home screen. “People will click on the notifications if [they] get them to where they were expecting. If not, they’ll ignore it next time,” Weiss says. “A lot of e-commerce apps screw this up by sending customers to the generic home screen, rather than a specific page or item.” To avoid this issue, brands need to make sure that they have the ability to deep link directly from push notifications to relevant in-app pages or sections; otherwise, much of the impact of their messages may be lost. The Notification’s API allows you to see which alerts your subscribers has enabled. This comes in handy when your subscriber has turned off the push notifications, you will know, and you can send them the request again in a different favorable moment. And by luck, if your subscriber presses Allow this time you can link them to the Settings App. This will increase your opt-in rate over time. Rich Push is a notification which allows the message to carry a rich media. In addition to the couple of hundreds of characters allowed in a simple push notification, Rich Push can include images, interactive elements, videos and audios. This makes the push notification way more attractive than a normal notification. Subscribers are atracted towards such innovative processes. This will help you attract traffic to your website. One of the crucial moments ignored by many teams is that when you’re monitoring your campaigns, it’s important to take the long view. Even if you see a short-term engagement boost after sending a few notifications, this doesn’t automatically mean that you have a similar picture in a longer-term. Mobile users are very responsive to novelty and push notifications aren’t an exception. This means that a short-term conversion boost might be replaced by a long-term downside for users. Thus, always monitor and adjust your push notifications based on real user behavior. As we all know, too much of everything is harmful. So, be very careful of what is sending and how many times you are sending. The goal is to notify your user. Too much of notification can irritate them and might also derive them away. So, follow the above-mentioned practice and keep growing your business.